Created by the Max Planck Institute for Psycholinguistics, ELAN is a professional tool for the creation of complex annotations on video and audio resources. Using ELAN, you are able to write down what is being said in your video and audio recordings, and then export this to other different programs, depending on your needs. More information on ELAN can be found on The Language Archive website. Please also see our training videos on the basics of working with ELAN. 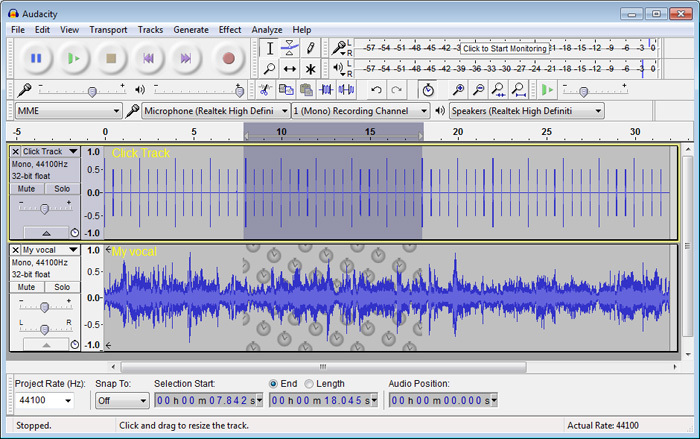 This is free, open-source software that allows for multi-track audio editing. Using Audacity you are able to edit your sound files: some options are to split them into multiple files, crop/edit the length of the files, or edit the sound itself. Fore more information please visit the Audacity website. If you would like to see some training videos on Audacity, please get in touch!